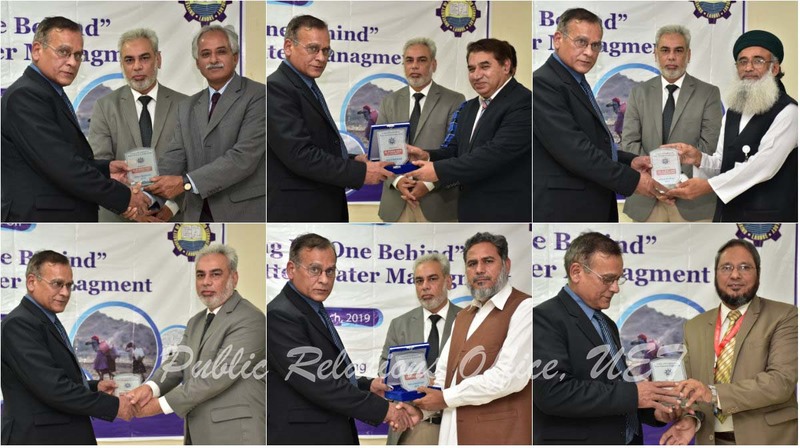 Center of Excellence in Water Resource Engineering (CEWRE) University of Engineering and Technology (UET) Lahore organized a seminar on World Water Day 2019 under the title of “Leaving No One Behind Through Better Water Management”. The slogan of the seminar was “Save Water Save Life”. 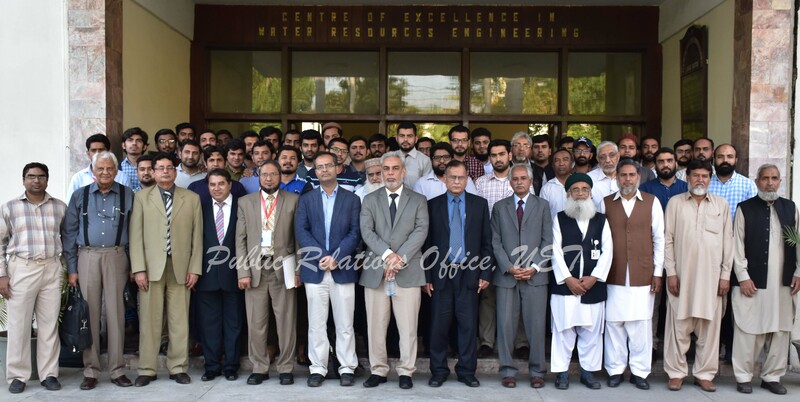 Vice Chancellor UET Prof. Dr. Aziz Akbar participated as chief guest whereas eminent speakers from different departments such as WAPDA, PCRWR, Pak Met, Punjab Irrigation Department, Academia and NGOs participated and shared their knowledge regarding need of water management for the survival of present and future generations. 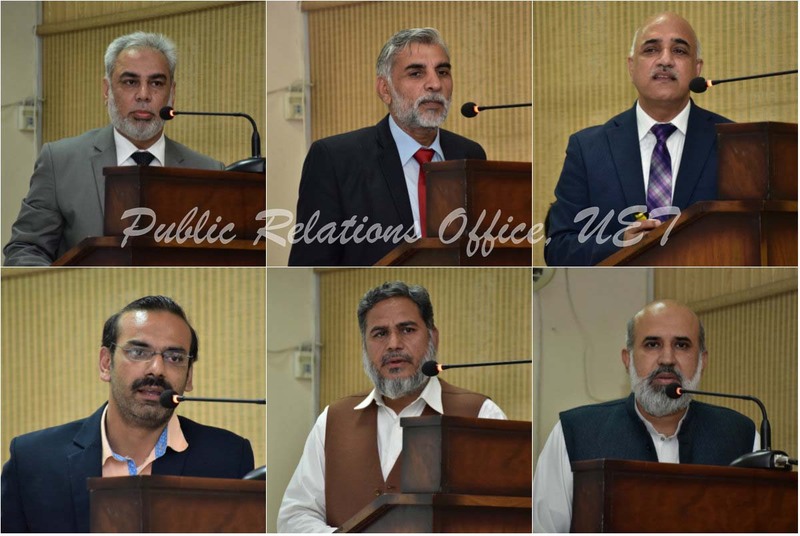 Director CEWRE Prof. Dr. Noor Muhammad Khan and Dean Faculty of Civil Engineering Prof. Dr. Abdul Sattar Shakir started the seminar by delivering a welcome note. Head Research & Development CEWRE Dr. Ghulam Nabi gave a lecture on “Agricultural Zoning and Water Management in Rainfed (Pothwar) Area”, Engr. Sohail Naqvi WWF-Pakistan described on “Basic Assessment Scenario Intervention Tool (BASIT) for Rover Ravi”, Prof. Dr. Iftikhar Ahmad from College of Earth & Environmental Science PU discussed regarding “Water Crisis and Sustainable Development Through Dams”, Dr. Aftab Hussain Azhar SE/Director (Hydrology) Mangla delivered a lecture on “Water Conservation: Need of Time for Pakistan’s Water Short-Scenario”, Chief Engineer (H&WM) WAPDA Engr. Shahid Hamid gave a lecture on “Water Management in Pakistan”, Director Centre for Water Infrastructure and Technology Dr. Abubakar highlighted the topic “Transforming Water and Agriculture Sectors in Pakistan Using Informatics, A1 and Robotics” and Director General PCRWR Dr. Muhammad Ashraf talked on “Pakistan Water Management Issues and the Way Forward”. The experts from various fields emphasized on construction of new dams for water storage. They further explained that 60 MAF more water will be required in 2025 in addition to present water available which is atleast 60 MAF. So, construction of large dams such as Diamer and Bhasha, Mohmand and Dasu Dams are very much necessary. 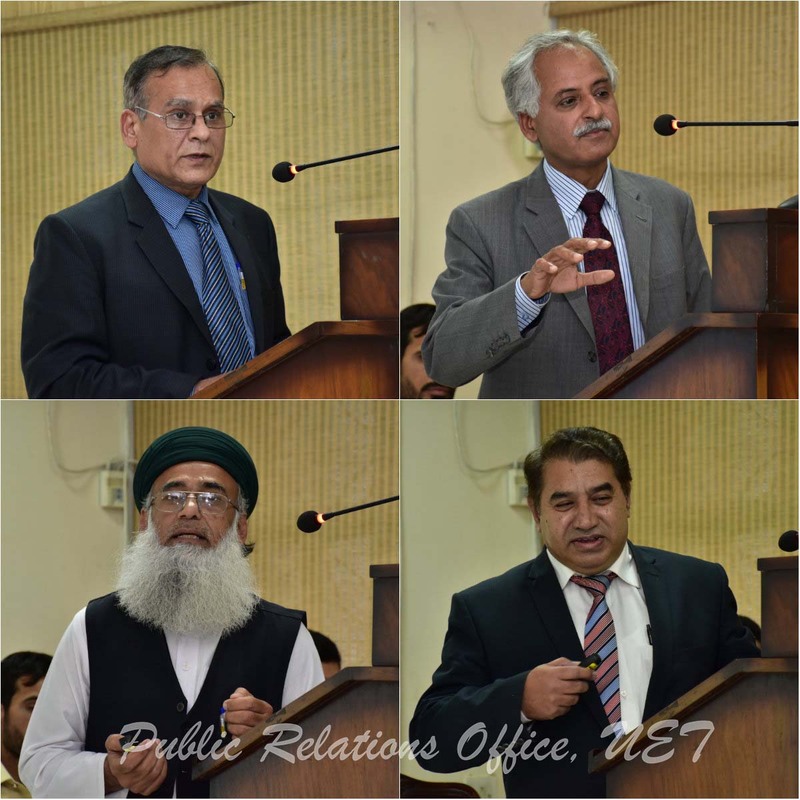 The seminar was concluded by the chief guest Vice Chancellor UET Lahore Prof. Dr. Aziz Akbar. He expressed that this seminar is an excellent effort in creating awareness about importance of water and its management. He also said that such seminars should be conducted more frequently at larger scale. At the end of the seminar the “World Water Day Walk” was arranged from CEWRE to IB&M more than 70 professionals participated in the walk.